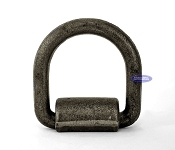 Check out our selection of Trailer D-Rings and Trailer Tie-Downs, they come in many capacities and sizes, some are bolt on tie downs and some are weld on tie downs, there's zinc plated and raw steel, light duty and heavy duty, some are good for heavy duty equipment hauling and some for enclosed trailers. No matter what you haul with your trailer, a boat, a couple of jet skis or the equipment you use for work, maintaining a secure load is always a top priority. 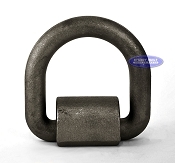 So, when you're looking for trailer D-rings and tie-downs that are built to handle the toughest working conditions, Sturdy Built Trailer Parts is the first and only place you need to know. 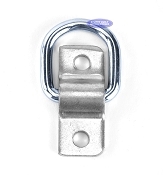 We carry an outstanding selection of D-Rings to fit every type of trailer, from flush mount zinc plated tie-downs to the extra beefy 1" weld-on D-ring that is rated for up to 23 tons. 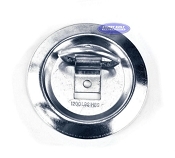 Manufactured to last from superior grade materials, these trailer accessories are easy to install and even easier to count on with your most valuable loads. With our Best Price Guarantee, you know you're always getting the lowest price on the top gear for your trailer. For 25 years, that's been the Sturdy Built advantage. Why would you trust your trailer to anyone else?